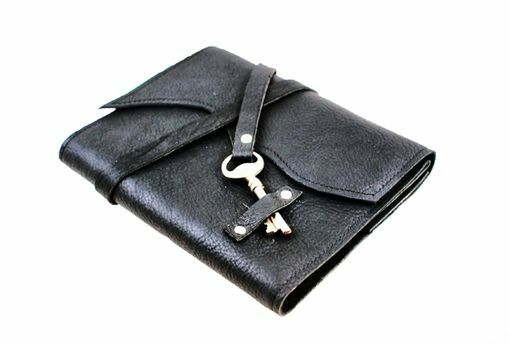 The journal is made with rich black oil tanned leather (with grain) encasing a spiral bound notebook, which can be replaced when full, meaning you'll have a journal to treasure over and over again. 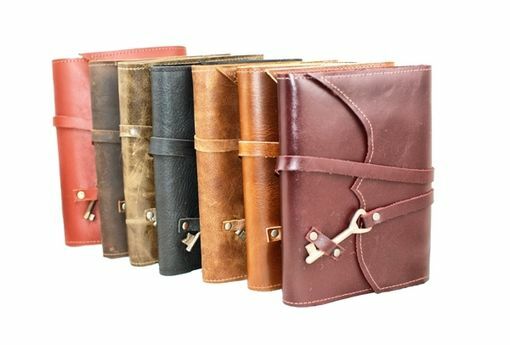 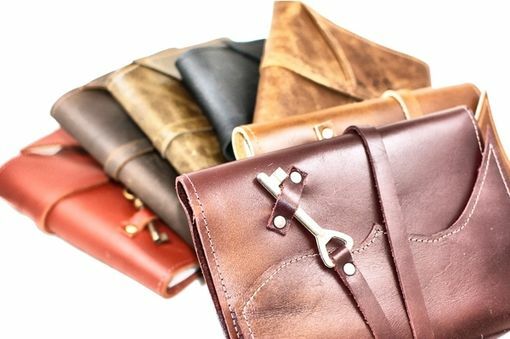 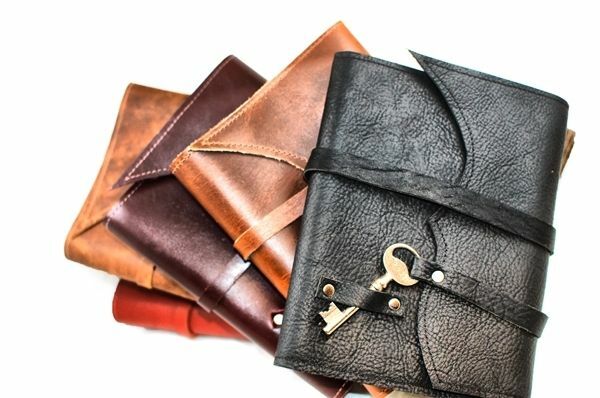 Each journal is handmade and no two are ever the same. 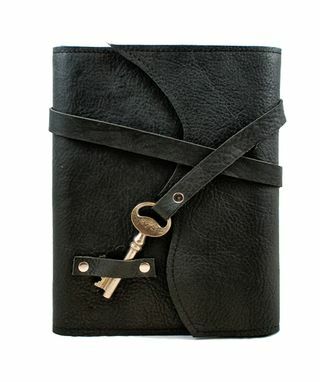 Stitched with industrial-grade nylon thread, and finished with silver hardware that match the key closure.